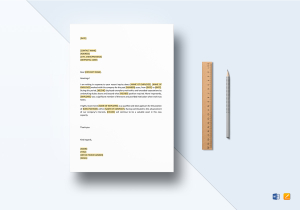 Create Or Customize your Employee Letters with Easy-to-edit, Digitally shareable Templates in iPages and Word formats. Being a Human Resources manager or staff member involves a lot of responsibilities. Regardless of the company’s size, the Human Resources department is one of the most important components that make up the whole of a company’s organization. Not only is HR involved in payroll and its concerns, its purpose and responsibilities are considerable. They include screening, recruiting, and hiring job candidates, training newly-hired employees, and administering benefits besides everything else. Hate them or love them, the personnel of HR have the important task of protecting the company from any issues that may arise that involves its employees. The HR’s job responsibilities are an evolving process because there are times that the government imposes laws that would affect the welfare of the employees. For this purpose, each company’s HR department must be up to date with any laws that may affect the company as a whole. To be able to effectively manage and utilize the company employees, the HR must implement several programs with regards to employee competency as well as evaluations and performance appraisal. 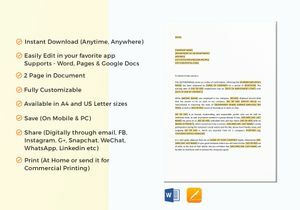 In this regard, each company’s Human Resource department is kept busy with internal correspondence of its employees. Workplace Conflict Letters - These include grievance letters that involve employee requests and appeals, discipline letters that involve probation, warning, or suspension, and oral warning documentations. 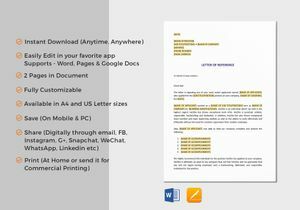 Layoff and Transitional Assistance Letters - These include layoff notification letter to employees, pre-layoff checklist for the concerned employee’s immediate supervisor, and layoff resource guides for both employee and supervisor. 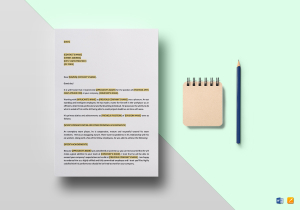 Performance Management Letters - Include probationary performance appraisal letters, performance expectation letters, and performance coaching letters. 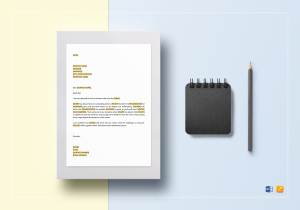 At Best Templates, our HR-Related Employee letters are not just picked out randomly. 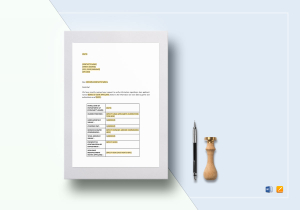 These are all carefully prepared templates that perfectly correspond to each situations carefully prepared by our team of expert writers and researchers. 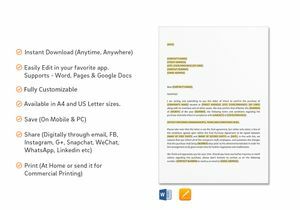 These are all Professionally-Drafted, Well-Researched, Industry-Compliant Templates whose applications are perfectly fitted for business documents created specifically for the needs of the industry. 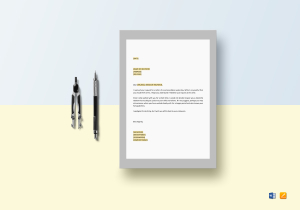 With our HR-related Employee Letter template, your company’s Human Resources department becomes better organized and can communicate better resulting in improved productivity. And the good thing about all of these? Our templates are Very Affordable, Easily Downloadable, and Accessible which gives you Ease of Use to Fully Customize, Edit, or Modify using commonly-used application software that you can use to Customize like iPages and Word formats. 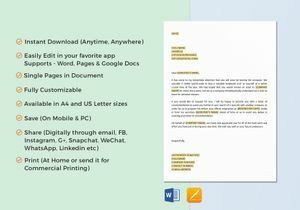 Being correspondence-based, you can easily share or transmit these letter templates via email for faster communication. 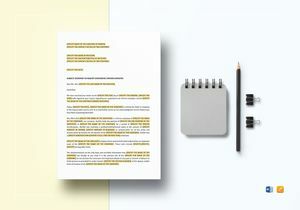 At Best Templates, we cater to all your needs and help make your business professionally-run to build a brand. These are all made of Premium, High Quality Templates that you can use which include High Resolution, High Definition colors that you can use to incorporate your company logo and other company designs.